When, in 1907, Captain Fairford orders a new Daimler car, it is brought out by a young motor mechanic, Sam Ironside. Sam and Lily fall deeply in love, and it is only later that Lily learns that Sam is married and feels utterly betrayed. When Cosmo is later sent home to school, Lily finds another post with a Dr. McBride and his invalid wife, in a beautiful Himalayan hill station. The place is idyllic, and Lily settles for a quiet life. However, she is unprepared for the pain and misunderstandings that follow and force her to run from everything she has known . 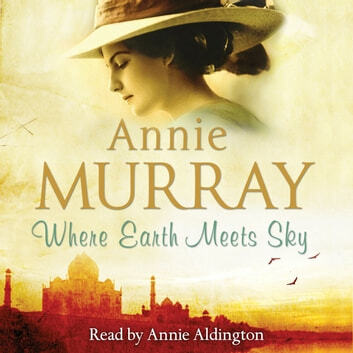 . .
Where Earth Meets Sky by Annie Murray takes us from Edwardian England and the British Raj, through the darkness of the Great War to the glamour of Brooklands Race Track in the 1920s. Spanning two continents, it is a story of enduring friendships and two hearts which cannot be kept apart.